I think that most Canadians should take rewards in the form of cash back or fixed value rewards, instead of miles or points. Most credit cards these days come with a form of rewards for spending. The best cards offer better rewards. Unless you are carrying a balance (there are better ways to borrow money), you should try to maximize your return, by earning the rewards that will give you what you value. There are a few types of rewards out there. Some offerings are cash-based or some sort of fixed value. For example, “earn 2 cents towards travel for every dollar spent”. Others are more complicated and associated with third party programs, such as Aeroplan or Starwood Preferred Guest. For example, “earn 1 Aeroplan mile for every dollar spent”. I believe that based on the Canadian credit card market in 2015, most Canadians would be best to earn cash back, or some sort of fixed value return, rather than points, for their credit card spend. What is a cash back or fixed value card? I consider cash back and fixed value cards the same animal. These would be those that give your rewards an exact value, either directly in the form of cash, or a statement credit, or as a reimbursement for some purchase on your card. The most common form of the fixed value card is one that reimburses the cardholder for a travel purchase made to the card. The key element is that the reward can be easily quantified and most people will not struggle to get that exact value (ie getting the reimbursement is not based on availability). Some of my favourite cards in this category are: Scotiabank American Express Gold, MBNA World Elite, BMO World Elite, MBNA Smart Cash, and many others. Who are points cards best for? Travel Points cards are those that define a specific redemption for a specific number of points, and that price is defined in advance. Something like an Aeroplan card would constitute a Travel Points card because there is a set schedule for how much any given flight will be. This price does not change daily or weekly but is set. There tend to be 2 types of loyalty program members. Those that save and save for many years to get that amazing once-in-a-lifetime trip, and those that use them simply as a way to discount travel as it makes sense. For both these types of collectors, earning a fixed value through a credit card is much better than earning points and miles. For the aspirational traveler, points programs are appealing. They afford the average man the chance of sitting in a First Class seat, which they otherwise might not be able to do. These types of people tend to suffer the fate of devaluation, with their miles losing value before they can be redeemed. It seems these people are always chasing a moving target and are always just short of the miles they need. The economic collector is one who uses points and miles to discount their travel. For these people, the better value that can be attained from a fixed value card will be the decision maker. In 2015, the best return comes from the fixed value cards. 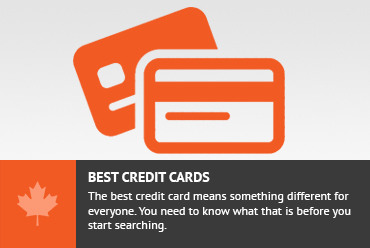 The best cards in this category return 2% for all spending. Personally, I struggle to get that kind of a return using points based credit cards, and I spend a lot of energy trying to find the best values. I think most Canadians struggle to get 2% return when using points based programs. Compared to what most points based credit cards offer, 2% return is quite high. Many points based cards will offer 1 point / dollar spent as the standard. To reach the same 2% return, those points would have to be redeemed for more than 2 cents each. In the example of Aeroplan, it is not easy to get this kind of return with any consistency, if you are not in one of the groups I mentioned earlier. These all play into making the points based cards relatively weaker, in terms of rewards, in Canada. Basically, banks deal in money. It makes sense that they would reward people with money. When 3rd party points based programs get involved, there is overhead to pay for them. Also, the bank has to basically buy the points on the cardholder’s behalf using cash. It seems that it is just an easier system to have the bank give the cardholder the money directly. Probably the biggest gripe that points collectors have is that the points are regularly decreasing in value. This happens as a result of programs releasing too many points, but not increasing the number of flights / hotels rooms etc. to match. That means there are more points chasing the same number of rewards, and the price has to go up in one form or another. There are many forms of devaluation of points, relative to cash. The biggest issue is that new rules tend to come about to stop people from getting the great redemptions. Until early 2014, American Airlines awards that were not wholly in North America allowed for a stopover in the North American gateway city. For people that lived in potential gateway cities, you could basically get 2 one way flights for the price of 1. (A resident of New York could route a trip from Rio to Honolulu and take a stopover at home in New York for 6 months, getting 2 separate trips for the price of 1). This great benefit was closed when rule changes restricted this in April 2014. Award chart changes occur every so often. Aeroplan has increased the number of miles it takes to go to Europe twice in the past 2 years. Increasing redemption fees, “taxes” and surcharges is another way to devalue a program. 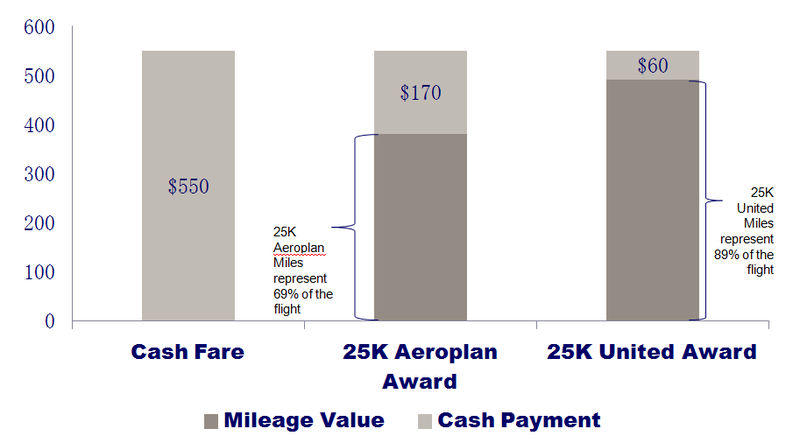 As I mention in my series questioning whether to earn Aeorplan miles, the amount of “taxes” and fuel surcharges on an Aeroplan redemption is considerably more than the same redemption using United miles. In the example of a Toronto-Calgary flight, Aeroplan miles have decreased in value as they have increased the amount of cash outlay required to redeem the flight. While I don’t mean to pick on Aeroplan here, it seems that Aeroplan has made it considerably harder to redeem your miles than in the past. While the website is great, there are limitations to it and many redemptions require a phone call. Having to call Aeroplan is a difficult task as their hold times, in my experience, regularly top an hour. This is another way that Aeroplan has devalued their points, as it is so inconvenient to redeem the miles that cardholders don’t. Another reason that I think fixed returns are better for most Canadians is that most people don’t structure their travel to take advantage of the best ways to redeem miles and points. In general, most people tend to pick a place where they want to go, the dates that work for them and then look to book their travel. Unfortunately, this type of planning does not lead itself to booking points flights and hotels. In general, people will get the most out of their miles if they find the best values in an award chart and then try to structure a trip to that location. That may be a location with hotels that are underpriced in points or where there is a great use of their frequent flyer miles, or both. Also, points programs create value by offering access to inventory that isn’t expected to sell. By definition, most people do not want those flights. The flights that most people want are expected to sell out, so no award seats are available on the best and most popular routes. As a result, most people are not going to be able to find value in these programs in the way that they want to. Don't subscribe All Replies to my comments Notify me of followup comments via e-mail. You can also <a href='https://www.creditwalk.ca/comment-subscriptions/?srp=4383&srk=2648578ecea05c83754707575dc5a494&sra=s&srsrc=f'>subscribe</a> without commenting.